Yes, Collier Pest Control, Southwest Florida’s Pest Authority, has incorporated the all new VAPOR BED BUG TREATMENT developed at the University of Florida. This amazing new method of bed bug treatments allows you to keep all your furniture with very little inconvenience. Collier Pest Control, Southwest Florida’s Pest Authority, VAPOR BED BUG TREATMENT places room heaters and box fans along with vapor, plus residual control materials in every room of your home or business. The vapor penetrates all parts of each room, such as: closets, mattresses, headboards, couches, chairs, tables, carpet, draperies, wall pictures to kill off all bed bugs. This amazing new VAPOR BED BUG TREATMENT method controls and kills off all adult bed bugs and their eggs within 24 hours. We set up treatment stations in every room of your home or business and the materials go to work. You only need to be prepared to leave your home or business for a period of 27 hours for us to complete the VAPOR BED BUG TREATMENT service. 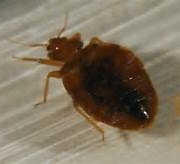 Collier Pest Control has 2 different methods of Bed Bug Control that saves your furniture. Don’t throw out your valuable furniture because of an unwanted bed bug infestation. If you live in Naples, Fort Myers, or Southwest Florida and think you may have bed bugs call 239-455-4300, Collier Pest Control for a full explanation of our amazing VAPOR BED BUG TREATMENT method or any other of our services, or look us up on our web site at collierpestcontrol.com. Remember Florida does not have to be shared with insects.